Now there’s something you don’t see every day. A recent Working Harbor Committee excursion to Gowanus Bay saw our vessel plying the Buttermilk Channel section of the East River, which is found between Red Hook and Governors Island. The legend about how this section of the river ended up being called Buttermilk Channel states that back in colonial times, it was so shallow at low tide that Red Hook farmers would herd cattle over to the island for safe keeping and free grazing. 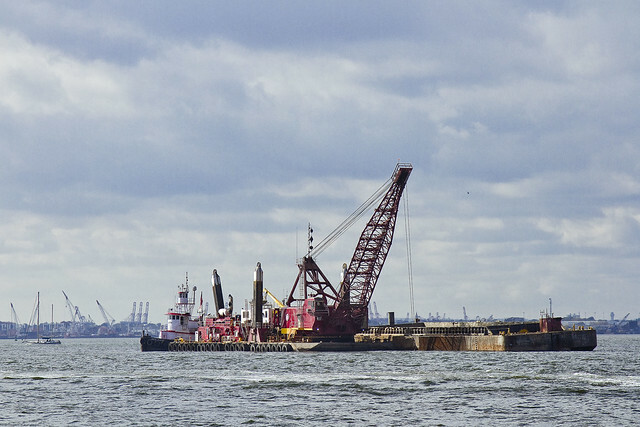 Dredging projects in the industrial era lowered the depth hereabouts, creating a shipping channel. 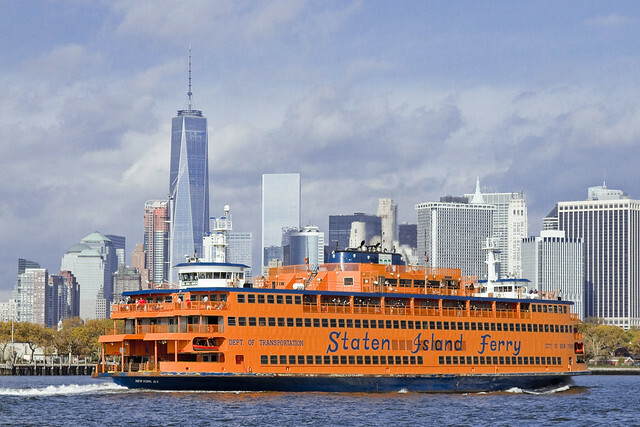 As our vessel moved along, a big orange boat called the Staten Island Ferry entered into Buttermilk, which is pretty unusual. Incidentally, despite its size, the Ferry is a boat. If it could launch a boat, it would be a ship, but since it can’t, it’s a boat. Life boats don’t count, I’m told. It was actually a dredging project that caused the anomaly. New York Harbor is an estuary situated between a giant conveyor belt for silt and soil called the Hudson River and the estuarial waters of Jamaica Bay and Long Island Sound. The back and forth tidal action of the East River, coupled with the titanic flow of the Hudson, causes the harbor floor to build up constantly and channel maintenance is an expensive but necessary activity ordained and financed by the ports people. 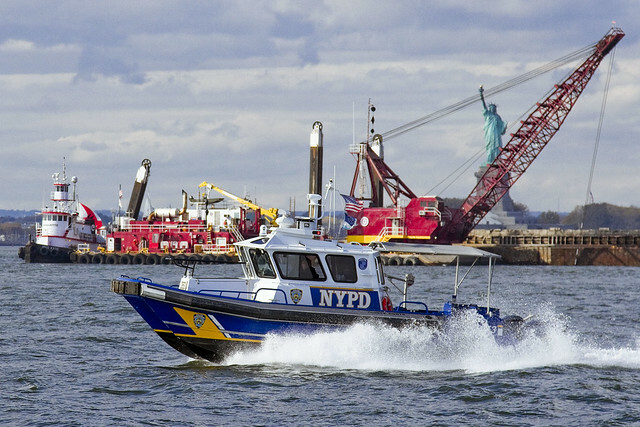 Just as we were leaving Buttermilk Channel on our way to Erie Basin and Gowanus Bay, the NYPD Harbor Patrol came splashing by, offering themselves up with an iconic backdrop.